Hi folks, my name is Arato – I travel few times a year on business, and I sneak out meetings and trade shows whenever I can and enjoy shooting street snaps on black & white film. Here’s my things that I carry onboard, clockwise from that M6 on top. Both are my 10+ year old mates, trustworthy and never lets me down. 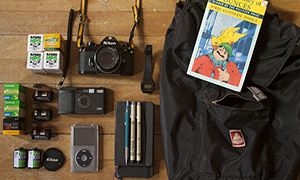 The film case is from Fuji, available from JapanCameraHunter. Nothing special, but with handy large pockets to hold a passport and tickets. Nylon webbing duty belt from Eagle Industries. Stole’em from ANA business class. Ultimate cushion and support, my first choice footwear for running to/from airport terminal gates. Made from used truck tarps. Liking the size and uniqueness (each bag is different), picked up from the Freitag store in Cologne Germany. Paperbacks : Japanese classical literatures and/or English mystery novels. Coin case & wallet : made by Hans Oster (Danish leather craftsman). I’m a sucker of fine natural fiber, particularly wool. Bought this merino sweater which costed like cashmere 12 years ago, still very soft and the warmth is second to none. The silicone ear buds perfectly isolates the jet roar, and yeah the “noise” of crying baby two rows behind you. iPad 2, iPhone, and a Moleskine notebook with a Lamy Safari ball point pen. That’s about it, and hope you guys enjoyed my IYB shot. Check out Arato’s flickr to see some absolutely ridiculous gearporn, seriously you will have to wipe the drool from your screen. 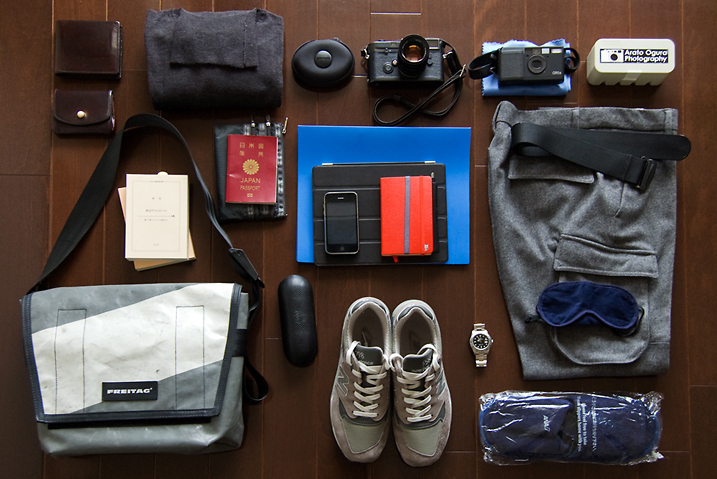 Thanks for sharing this cool bag with us Arato, it is interesting to see how people deal with travel in their own style. I hope that you will share another one of your lovely bags with us in the future. 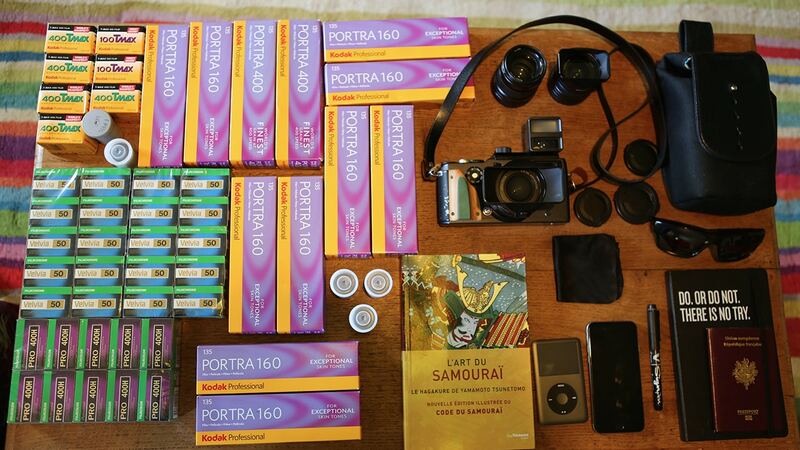 Keep them coming folks, we need more submissions, so get your bag on Japancamerahunter.com. 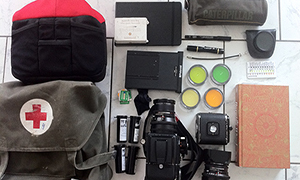 Send me a hi resolution image of the bag (please make sure it is horizontal) and its contents, with some details about yourself and what you shoot. Oh and don’t forget your contact details (twitter, flickr, tumbler et al).